After a strong performance in the first game of Saturday's doubleheader, the Hawkeyes couldn't close the series out with a sweep. 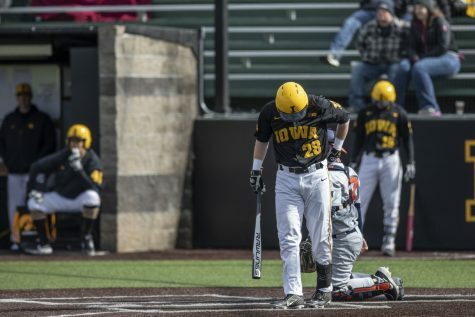 Iowa's Zeb Adreon takes a strike during a baseball game against the University of Illinois on Sunday, Mar. 31, 2019. 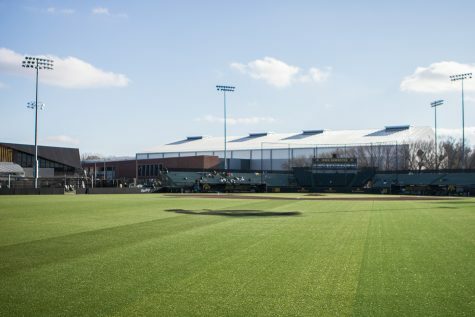 The Hawkeyes defeated the Illini, 3-1. 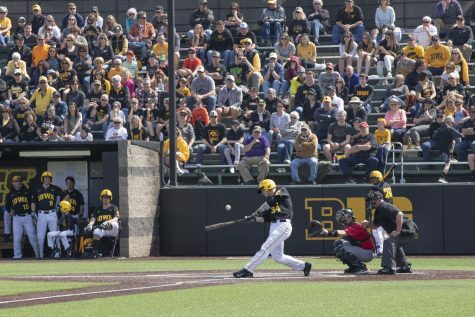 Before Iowa played a near four-hour game on the tail end of a doubleheader at Banks Field on Saturday, it picked up two solid wins over Rutgers. 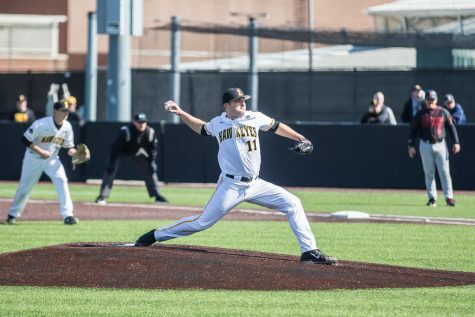 After the Hawkeyes picked up a 9-5 victory to go up 2-0 in the series over the Scarlet Knights, Rutgers battled back for a dominant 15-3 victory to take a win before its long flight home. 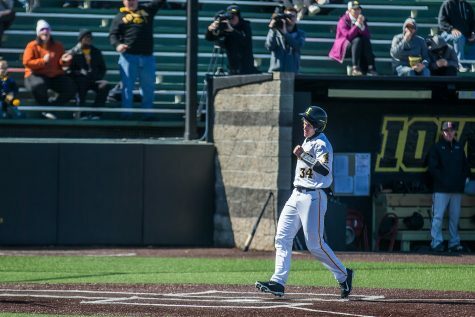 Iowa entered the doubleheader on a four-game Big Ten winning streak after sweeping Illinois and toppling Rutgers in the series opener, 6-1, on Friday. Both teams got off to a quick start in Game 1, each plating a run in the first inning. Then, Iowa took over. 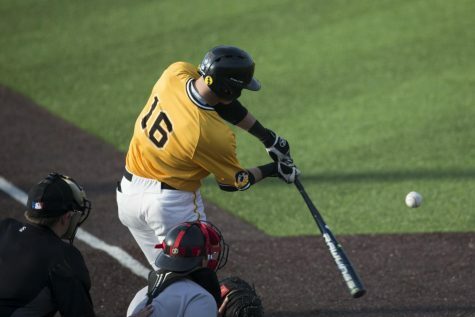 The Hawkeyes rattled off 6 runs in the first six innings, including a 4-run sixth. Entering the seventh facing a 7-1 deficit, Rutgers made things interesting. The Scarlet Knights used a home run, an RBI single, and a 2-RBI single to cut Iowa’s lead to 2. That’s as close as they would get though, as Iowa’s Zeb Adreon delivered a 2-RBI double to right-center field to give the Hawkeyes a couple insurance runs. 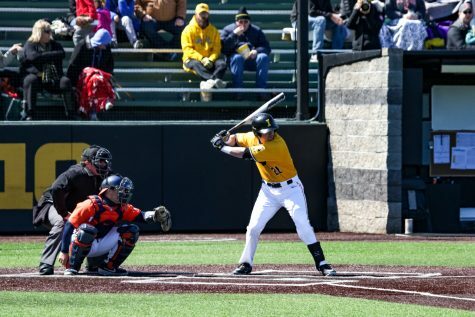 Adreon highlighted the day for Iowa, finishing 3-for-3 with a career-high 4 RBIs, a run scored, and a walk. Game 2 quickly proved to be a different story, though. 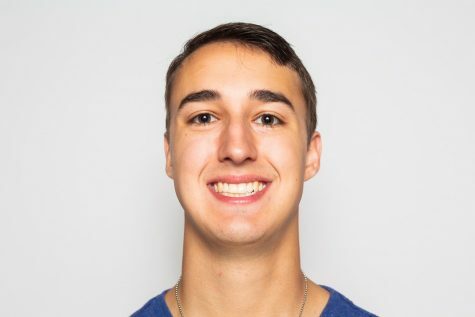 After a solid outing from starter Cam Baumann in Game 1 in which he allowed 3 runs on 8 hits with 5 strikeouts in 6.1 innings, Grant Judkins couldn’t follow with a similar performance. Judkins gave up 5 Scarlet Knight runs in the first inning – only 1 earned – and finished with 7 hits and 6 total runs with 2 punch outs and 2 walks in 5 innings of work. It wasn’t a performance fans are used to seeing from the Pella native. 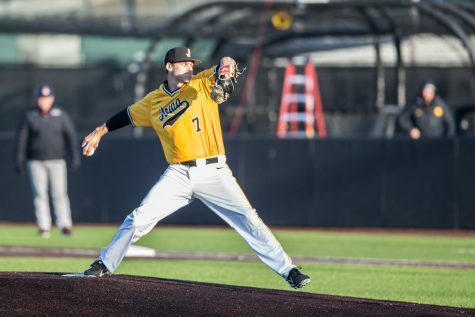 He still leads the team with a 1.70 earned run average, but it just wasn’t there on Saturday. 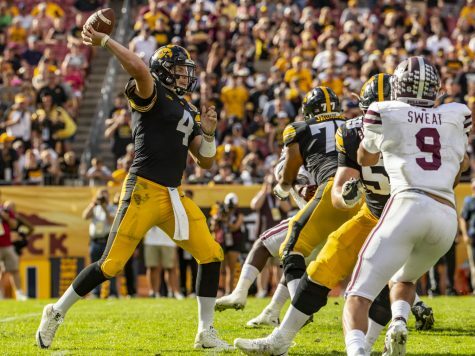 Iowa never led in the game. The bullpen failed to take over after Judkins’ outing, allowing a run in the sixth, 2 in the seventh, 5 in the eighth, and another in the ninth. Despite the loss in the series finale, Iowa has still picked up a win in its last two Big Ten series, going 5-1 in those games. 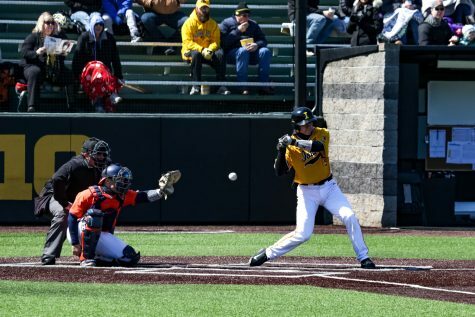 With a road trip against Bradley and a conference series against Purdue coming up, there’s no time for the Hawkeyes to dwell on what has already happened. Instead, they need to focus on what’s ahead.